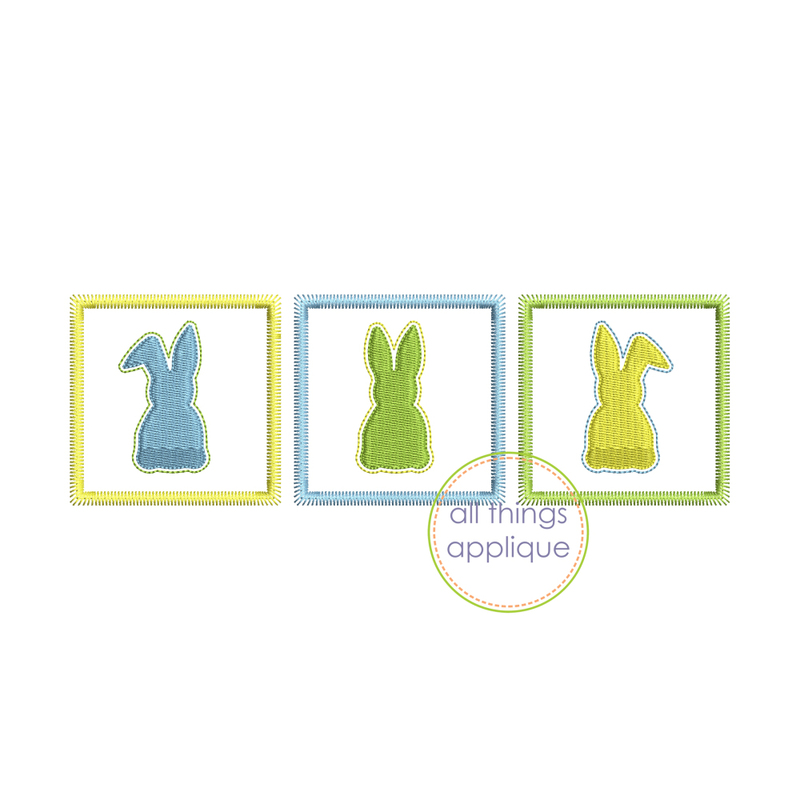 Square Easter Bunny Trio, Zig Zag Applique - 3 Sizes! The square patches can be stitched with one fabric or 3 - the choice is up to you! 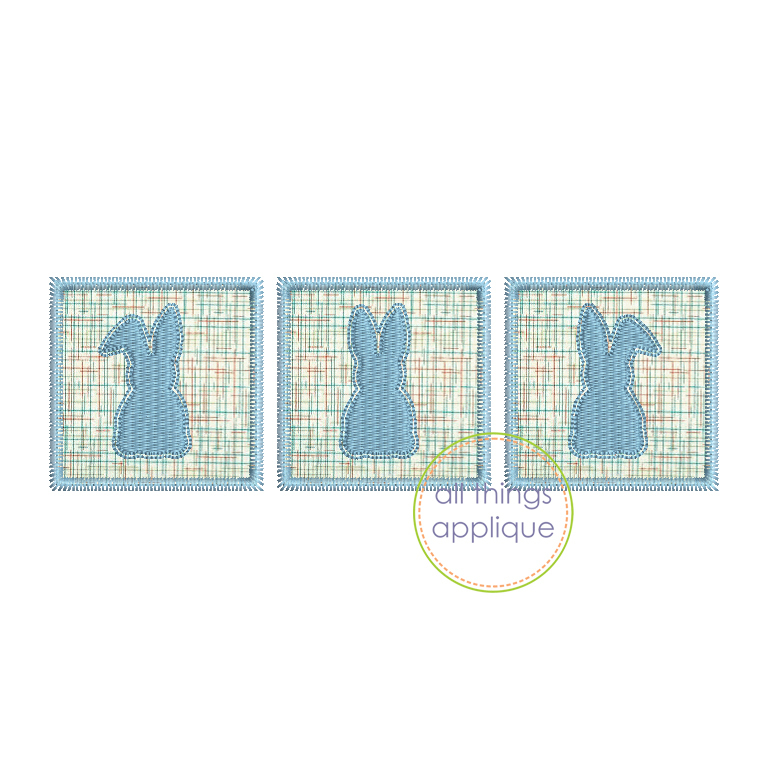 The square patches are finished with a zig zag stitch and the bunnies are stitched with a fill stitch and outlined with a bean stitch. Happy Easter Bunny Silhouette Applique - 4 Sizes! Finish Size 2.19" x 6.87"
Finish Size 2.71" x 8.52"
Finish Size 7.43" x 2.37"